Hoodlums at the weekend reportedly attacked a police checkpoint in Asaba, Delta State, inflicting injuries on officers on duty, and carting away their rifles. The incident occurred at the Tipping Point, near Ascon filling station around the popular Inter-Bau flyover in the state capital. An inspector and two rank and files were said to have sustained deep machete cuts during the attack. A dependable source who rushed to the scene after the incident disclosed that the bandits attacked the cops about 15 minutes that the police patrol van left with the driver and one of the officers leaving only three officers behind in the area. The source stated that the first victim just finished directing a “driver making phone call in a parked vehicle to leave the vicinity to another area when about four of the suspected bandits attacked him with a machete and made away with his rifle. “And as he was being attacked, another group was also attacking the inspector whose gun was also snatched. “The only lucky one of them was the corporal who was said to have escaped with his own rifle but also suffered machete cuts in his hand,” the source revealed. Investigation revealed that the five members out of the seven-man team had reported for duty for the day before one Sergeant Azuka called the team leader to send the vehicle to the command headquarters to convey someone to area command and that was why the patrol van driver and an officer had to leave their duty post. 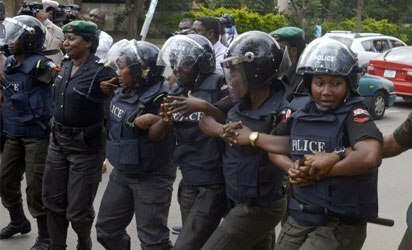 The state Commissioner of Police, Adeyinka Adeleke, neither confirmed nor debunked the report. He said the command would issue a statement before the close of work on Monday.